Hawke Sport Optics is a worldwide company that specializes in creating a broad range of high-quality sporting optics. The company was initially founded in the United Kingdom more than 15 years ago. They later established headquarters in the United States in 2007. The brand manufactures optics used with rifles, crossbows, and air guns. They also design and produce specialized optics used with sporting scopes and binoculars. They also manufacture accessories including red dot sights, laser range finders, sunshades and a variety of mounts. Hawke Optics sells their products in over 60 countries worldwide. In a short time, they have made a name for themselves in the sporting optics industry and have become a brand that more outdoorsmen rely on when they need reliable and precise hunting optics. Are Hawke Sport Optics Rifle Scopes the Right Choice for You? One area that Hawke Sport Optics is best known for is their rifle scopes. The company currently has six different lines of rifle scopes, each one their own unique features and benefits for every type of outdoorsmen. Check out the additional information on each Hawke Rifle Scope collection below. 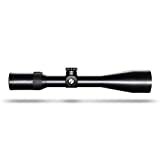 The Frontier line is one of the best selling rifle scope collections that Hawke Optics has available. These scopes are best known for their precision optical system. The special index matched lenses features in these scopes help set the Frontier line apart from all Hawke Sport Optics competitors. They are designed to provide the user with optimal clarity throughout their field of view, which can be very beneficial to all types of big game hunters. When you need the best sight possible, you need a rifle scope from Hawke Optics’ Endurance line. These scopes feature the company’s innovative Wide Angle optical system that gives the user a broader view of everything in front of them. Along with improving your range of sight, the Endurance line also provides users with 4-inch/102mm eye relief. The Panorama line of rifle scopes does simply as the name implies. They help to maximize your field of view so that you have a better chance of spotting your target. All Panorama scopes from Hawke Sport Optics provide the user with a wider field of view than that offered by the Endurance rifle scope line. When you just need a good quality scope without all the extras, the Vantage line has the perfect accessory for you. These simple yet effective rifle scopes provide users with performance that is far beyond what they expect. All Vantage scopes feature solid construction and are designed to last throughout all types of outdoor excursions. When you are dealing with long-range shooting, you need a scope that can provide you with successful results. The Sidewinder line from Hawke Sport Optics the performance and features that any advanced hunter needs all at a great value. Hawke Sport Optics is a leader in the specialized optics industry and has years of experience creating rifle scopes designed for experienced hunters and airgun enthusiasts. Airgun optics can be a tricky area since many times owners will use optics that are designed specifically for use with airguns. When you purchase a scope from the Airmax line, you can be assured that you are getting a product that is designed to work precisely with your high-powered airgun. 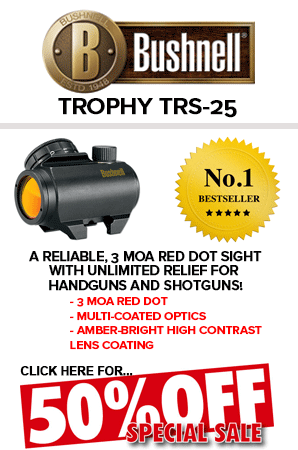 One interesting feature available on the official Hawke Sport Optics website is the Select Your Rifle section. There you can select from a list of several available reticles offered by the company. On the designated page, there is an image and a reticle that you can use to see the difference in clarity and other features for each one. 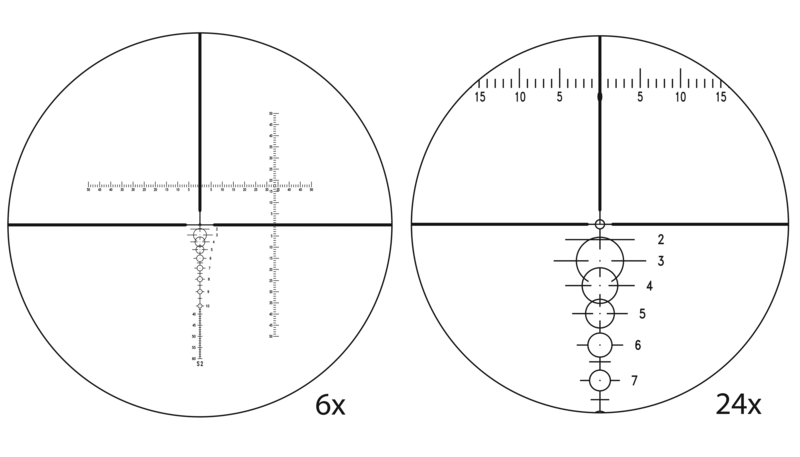 The 30/30 Duplex Reticle is a variant of the standard L4 reticle. It offers 30” spacing from post to post at 100 yards when in 4x magnification. The MIL DOT reticle has multiple aim points for hold-over and hold-under. It allows for accurate spacing on 10x and features 4 Mil Dots in every direction. This reticle is glass etched and has 5 brightness levels that make hunting at dawn or dusk much easier. 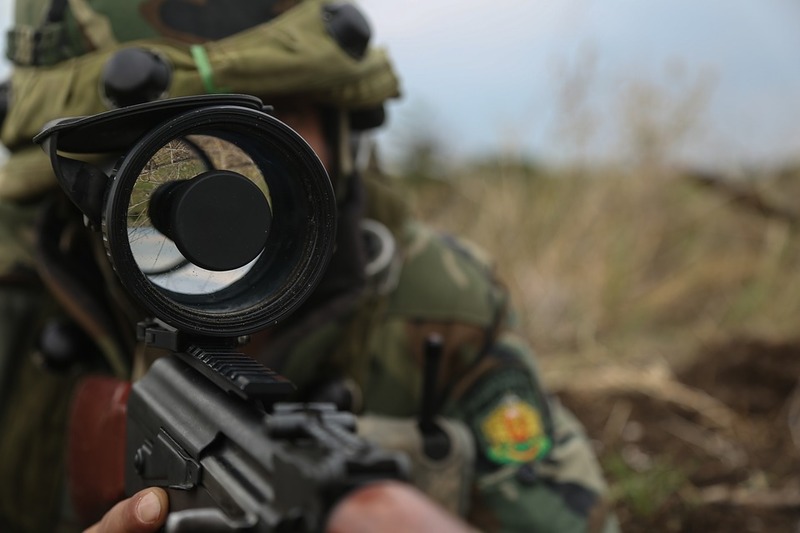 The Tactical Dot Reticle is glass etched with illuminated fast acquisition circle and a central aim point. The additional aim points for this reticle point down to 10 mil spacing when it is on 6x magnification. The SR Pro Reticle is a Hawke exclusive. It provides the user with guaranteed useable aim points regardless of what caliber you are using. With this reticle you input the ballistic profile into the Hawke X-ACT software and all aim points are instantly calculated. The SR Pro reticle features hollow posts, illuminated central aim points, range finding brackets and hold over aim points using windage bars and dots. Now that you know a little more about each rifle scope line available from Hawke Sport Optics, it’s time to learn more about some of the most popular scopes from the company. The Frontier 30 Rifle Scope is an excellent choice for all types of outdoorsmen. It features an exclusive etched-glass reticle, that is far superior to the standard wire reticle found in most rifle scopes today. This reticle is etched by a laser, which makes it much more precise than others. This type of accuracy allows you to have a better chance of hitting your target each and every time. This Frontier scope offers fully multi-coated optics. It is shockproof, waterproof, and fog-proof so that you can hunt in any type of weather. The 6x ratio precision-engineered optical system helps you get a clear view of your surroundings. And the locking and resettable target turrets allow you to keep your eye on the prize. This scope features side focus and it has a smooth Black Matte finish. 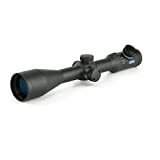 Features for this high-quality scope include the 2.5 – 15x magnification, an adjustable objective 50mm lens, a 30mm tube, 1/4 MOA, TMX reticle, and 10 yards to infinity parallax adjustment. The Frontier 30 offers 42 ft. to 6.9 ft. field of view, and 4” eye relief. It weighs 23.4 oz. and is 13.7” long. This rifle scope comes with 1 CR2032 battery, elasticized lens covers, a screw-in sunshade, lens cleaning cloth, and an owner’s manual. The Hawke HK6426 Endurance Scope is a high-tech accessory available at an affordable price. This side focus IR scope features a glass etched red illuminated reticle so that your shot will be accurate and precise. The infinitely adjustable stepless side rheostat replaces the standard click-step reticle illumination control and allows for infinite adjustments, ensuring that your reticle will be visible in any type of light condition. This scope is fully equipped with a side focus parallax adjustment, providing a range of 10 yards to infinity. This allows the user to be parallax free so that they may focus at all target distances. This rifle scope includes an extra 40mm large focus/parallax wheel. Each Endurance Rifle Scope model comes with a sunshade. Like every Hawke Sport Optics scope, the Endurance 30 IR Scope is designed to provide hunters with many years of use. The Hawke Sport Optics Panorama AO Rifle Scope features a 1/2 mile Dot IR Reticle for precision when shooting. It has a glass etched Ballistic reticle and features the Eva Optical System to offer 20% wider fog. This high-performance hunting scope includes advanced visual features to enhance your shooting experience and improve your accuracy. The Panorama Rifle Scope has an eye optical system that allows for fast and easy target acquisition and an overall relaxed viewing experience that any hunter can appreciate. The reticle for this scope is compatible with the Free Hawke BRC Software that is designed to calculate all available aim points to your rifle’s trajectory. The Panorama scope features red and blue illumination that is perfect for both day and night use. It is powered by a single CR2032 battery. Take the upper-hand while out in the field with the Hawke Sport Options Vantage HD IR Rifle Scope. This affordable scope is packed with features to provide you with more accuracy during your hunts. It features 11 layer multi-coated optics for extreme clarity. And it has an adjustable objective for parallax correction. The Vantage HD IR scope includes a glass etched reticle with both red and green illumination for various types of lighting situations. The Rheostat on the saddle offers five levels of brightness making it much easier to see in low-light conditions. 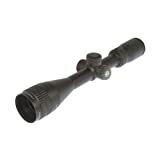 This rifle scope also has a 1-inch mono-tube chassis for superior strength and durability. Additional features for this high-tech rifle scope include 1/4 MOA low profile “no-snag” fingertip turrets, Fast Focus eyeball and high torque zoom ring. The Hawke Sport Optics HK4010 Sidewinder Scope has a glass etched red and green illuminated reticle for advanced clarity when hunting day or night. 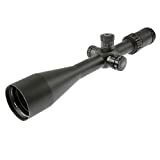 This rifle scope features a high-quality optics system with the use of Fully Multi-Coated Glass. The special glass allows the user to see through their scope in high-definition, regardless of their lighting conditions. The Sidewinder scope also has a side focusing system that is made to parallax from 10 yards to infinity. The innovative illumination levels offered by this rifle scope allow for shooting at dawn or dusk without limits. The turrets are calibrated to 1/4 MOA per click. Once they are adjusted, they can be locked into position for accuracy. This Hawke Sport Optics Sidewinder scope comes with a large 4” side wheel to further enhance range finding. The Hawke Sport Optics Airmax 30 IR Scope features an AMX reticle that allows for multiple aim points. This can be extremely useful when you are shooting air guns with loopy trajectories. The scope has Half Mil Dot spacing found on the lower post that offers increased aim points for long distance shots. This IR scope has 16 layer fully multi-coated optics for optimal clarity and focus while in the field. The side focus control allows for parallax adjustments to infinity. And the 30mm mono tube chassis gives the scope more strength and durability. This scope has a glass etched reticle with red illumination. It also has stepless rheostat for better brightness control. Anyone who has experience using a rifle can appreciate a reliable and accurate scope. The condition of your rifle scope could mean the difference between a memorable hunting trip, and one that you would rather forget. Hawke Sport Optics takes pride in manufacturing a broad range of rifle scopes that can be used in a variety of hunting situations. These scopes are designed for those who like to hunt in the early morning hours, as well as those who prefer to hunt at night. They are made from some of the best materials in the industry and include features that are far more advanced than many of their competitors. Some Hawke scopes are much more expensive than others, but if you are a serious hunter then you will want to make an investment in a rifle scope that you know you can depend on for accuracy and durability. Hawke Sport Optics Rifle Scopes are designed to work for all types of hunters. There are six different lines to choose from so that you can find the perfect scope to suit your individual needs. Their scopes also range in price from affordable to expensive, so you can decide how much you are willing to invest. Hawke Optics are an industry leader when it comes to producing innovative scopes that are accurate and reliable. 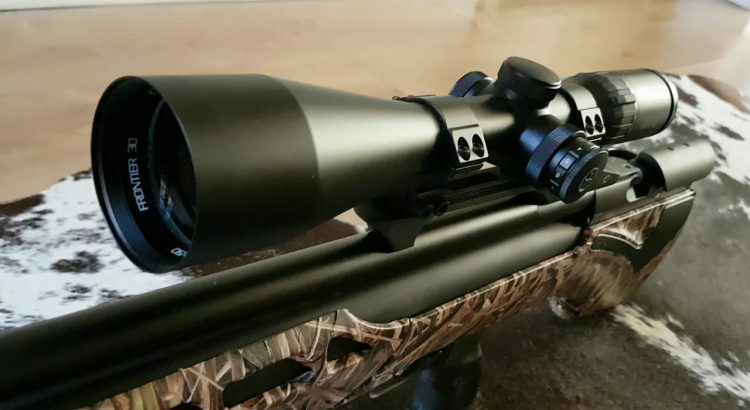 If you are in the market for a better, more advanced scope for your rifle or airgun, you should check out the scopes and other sport optics items that Hawke Optics has available.